Completion is nearing of a sought-after seafront residential scheme in North Tyneside, which has breathed new life into the site of a derelict hotel. Construction of High Point View, a development of 14 townhouses on the Promenade, in Whitley Bay, which offers spectacular unrivalled floor-to-ceiling sea views, is due to be finished in the coming weeks. The three, four and five-bedroom properties have seen significant levels of popularity due to their ‘smart home’ innovative, eco-friendly design and the first families are due to move in to their new homes by late summer. The site has now unveiled its show home, which was formally opened by Norma Redfearn CBE, the Elected Mayor of North Tyneside. High Point View, a joint venture between Aspire Care Group and North Tyneside Council, has regenerated the site of the former High Point Hotel, which had fallen into disrepair and was branded an ‘eyesore’ by local residents. The project also forms part of the council’s £36m Seafront Master Plan, which is regenerating the coastline from St Mary’s Lighthouse to Cullercoats Bay. The development, which also offers private parking and gardens for residents, is being created entirely by local businesses. Northern Bear Building Services, from Gateshead, is the contractor for High Point View, which has been designed by Newcastle-based Miller Partnership Architects. Neil Wilson Design, from Newcastle, is overseeing the interior design. Law firm Sintons, based in Newcastle, has handled the real estate development work from the outset, and is now through its dedicated residential development team handling the plot sales. 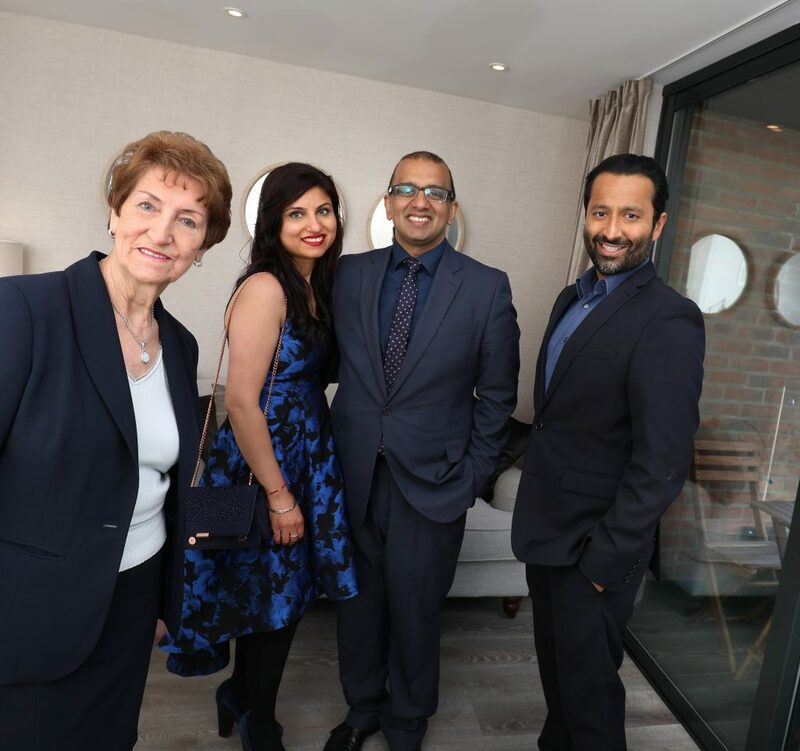 Anoop Puri, managing director of Aspire Care Group, said: “Since construction began in November 2016, we have been so excited about reaching the stage where we can welcome people in here to see what we have created. High Point View is a stunning development, even better in reality than I imagined during the many months and years of planning, which has made a huge positive contribution to Whitley Bay’s seafront and its ongoing regeneration. “We decided to open the show home with a traditional Hindu ceremony, involving the cracking of a coconut on the doorstep, designed to bring prosperity and success to the venture. Norma Redfearn CBE, Elected Mayor of North Tyneside, said: “I was delighted to visit the High Point View development as it nears completion and open the show home – the views looking across the sea towards St Mary’s Island are absolutely stunning. It was a pleasure to be part of a unique and exciting event and it was the first time I have ever seen a coconut-cracking ceremony! “The homes are looking fabulous and have completely transformed what was an eyesore into a luxurious seafront development perfect for families. It has also been an excellent example of the council working in partnership with a private developer to deliver something truly first-class. Alok Loomba, Partner in the Real Estate team at Sintons, added: “High Point View is a highly impressive residential development, brave in its design and outstanding in its quality. Great credit must be given to Anoop and North Tyneside Council for bringing such a scheme to reality. Find out more about the development at www.highpointview.co.uk.